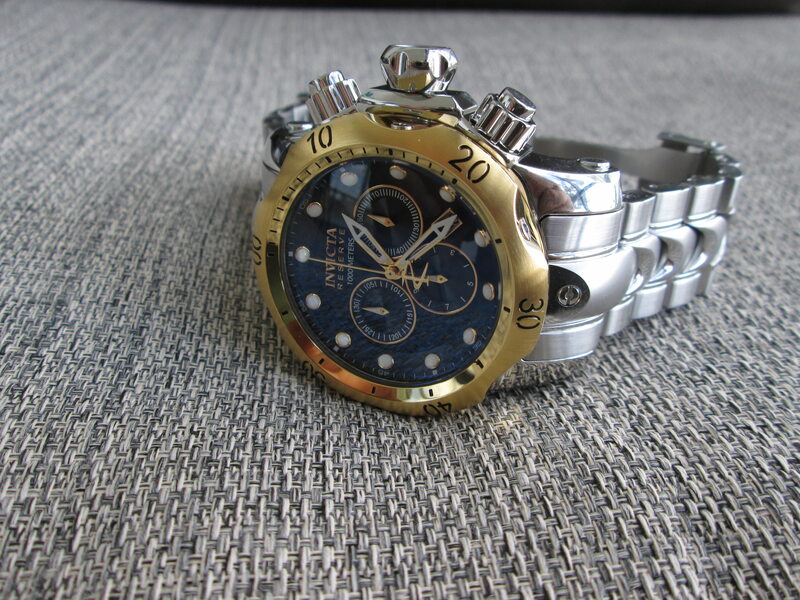 Up for sale is a mid size Venom chronograph, Model No. 10799. I would rate it's condition at least 95%. 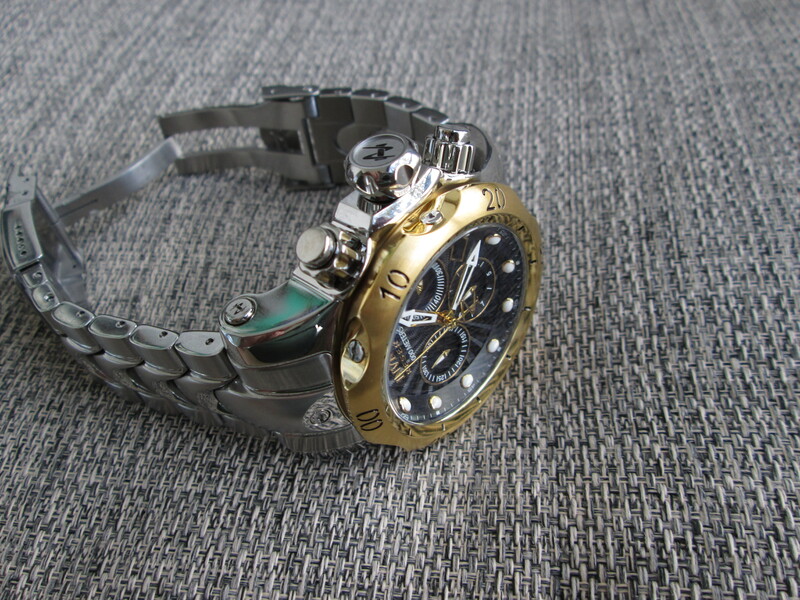 It has been rarely worn, and I can find no marks of any kind on the case, bezel, bracelet or crystal. Asking $75 shipped via priority mail to CONUS, PayPal preferred. Please PM me with any questions or offers. WTT for a full size Venom SS bracelet. 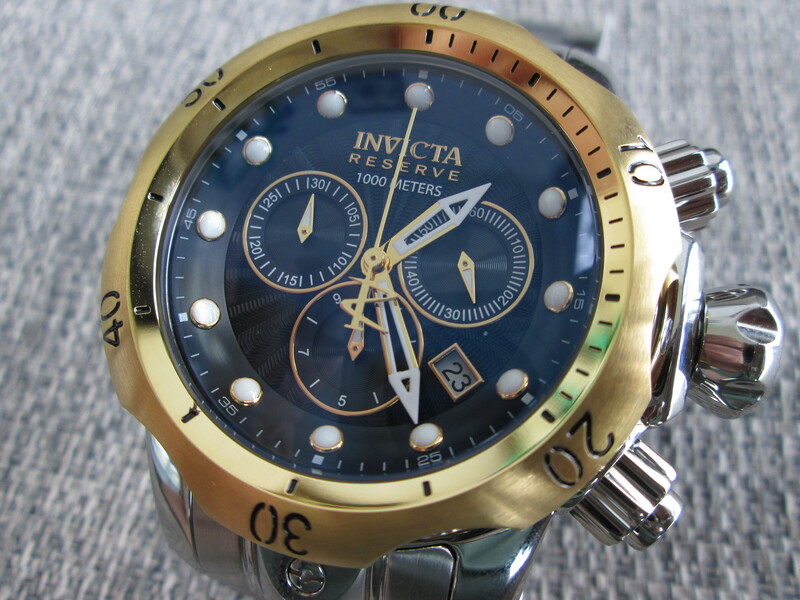 SOLD: Invicta Reserve Mid-Size SAS $155, Price Drop !! !